Vietnam is the second largest coffee exporter in the world, but its profits are not commensurate with its global ranking. This is due to two shortcomings: Vietnamese coffee is mostly exported under foreign labels and in raw and unprocessed form. On average, raw coffee is sold for less than US$2 per kg, while processed coffee with a brand name is sold at about US$20 per kg. Vietnam pockets up to 10 percent of the value, with the rest going to foreign companies. On the other hand, some branded Vietnamese farm products do well, for example Phu Quoc fish sauce and Thai Nguyen tea. 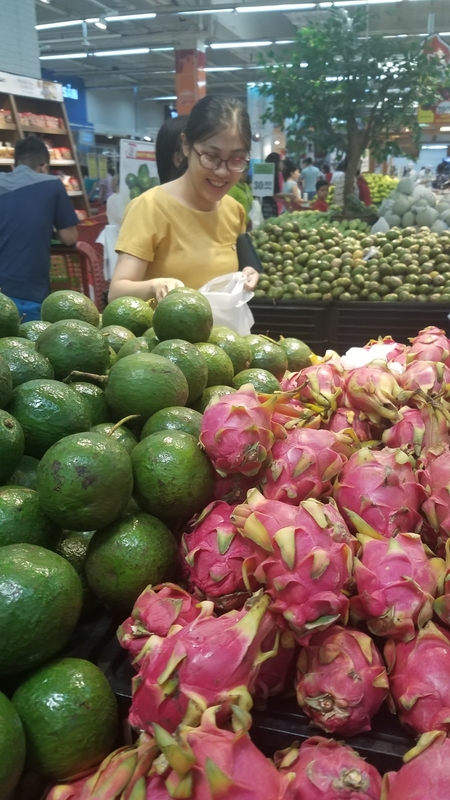 Nguyen Quoc Thinh, chairman of the advisory council of the Institute for Brand and Competition Strategy, said most farm produce exports are raw and hardly processed and lack clear information about their producers or processing firms, and even their geographical origin. As a result, their added value falls short of expectations, while high risks remain for many produce shipments, Thinh said. As an example, he noted that up to 100 firms have joined the export of Vietnam-branded rice, however the brand will suffer negative effects if even one exporter sends poor quality rice shipments abroad. Thinh also said branding goes beyond a simple logo, image, and slogan, and is aimed at building consumer trust and familiarity. He called for a drastic approach to building and protecting national brands for long-term benefits of farm produce exports. Tran Thi Phuong Lan, deputy director of the Hanoi Department of Industry and Trade, said well-positioned brands would contribute to increasing the competitiveness of Vietnamese goods. According to the Agro Processing and Market Development Department under the Ministry of Agriculture and Rural Development, brand names for agricultural products are essential for sustainable development. However, building brands for agricultural products is not easy. Most products are made using traditional methods. Due to small scale and scattered production, farmers don’t pay attention to market demand or apply good agricultural practice. According to experts, it is necessary to focus on building national brands, and then regional brands. An example of a successful regional brand is “Bordeaux” - everyone who hears the name of the French region thinks of wine. According to the Vinacafe Bien Hoa Joint Stock Company, value chains and branding are vital for enhancing the value of Vietnamese coffee in particular and agricultural products in general. Building brands for different farm produce must be a task of not only businesses, but also the state and the government. Nguyen Quoc Toan, acting director of the Agro Processing and Market Development Department under the Ministry of Agriculture and Rural Development, said the Ministry will coordinate with other authorities to promote the building of national standards and regulations, focus on developing national brands, grant codes for production areas and strengthen implementation of traceability. The Ministry of Industry and Trade plans to draft a decree on product origin. Instead of the label “made in” or “assembled in” for industrial products, agricultural products will be labeled “product of”, denoting where they were grown. For example, a coffee package label will say “product of Vietnam”, meaning that the coffee was grown in Vietnam even if it was processed elsewhere. This is an effective way to introduce and advertise products. People may not care about the name of the business that processes and packs the product, but they will know where the product was grown and harvested.